It was Malala Yousafzai who pronounced that "one book, one pen, one child, and one teacher can change the world". She knows what she's saying considering what she's been through. For her fearless struggle to create awareness about the suppression of children and her ceaseless efforts to uphold the rights of children to basic education, she was awarded the Nobel Prize in 2014. She is the youngest person to ever receive the prestigious prize. It's not enough to be inspired by Malala. It's not enough to be in awe of her fearless activism. We should always attempt to turn the inspiration and awe we feel into something more concrete. 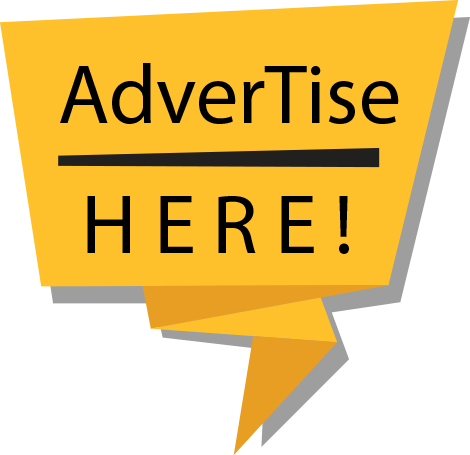 In that essence, I'm encouraging our readers to get involved in projects and movements that are in line with the advocacies of Malala. This brings me to Libro Mo, Inspirasyon Ko, an educational project that has been helping build libraries in remote schools in the Cordillera region. 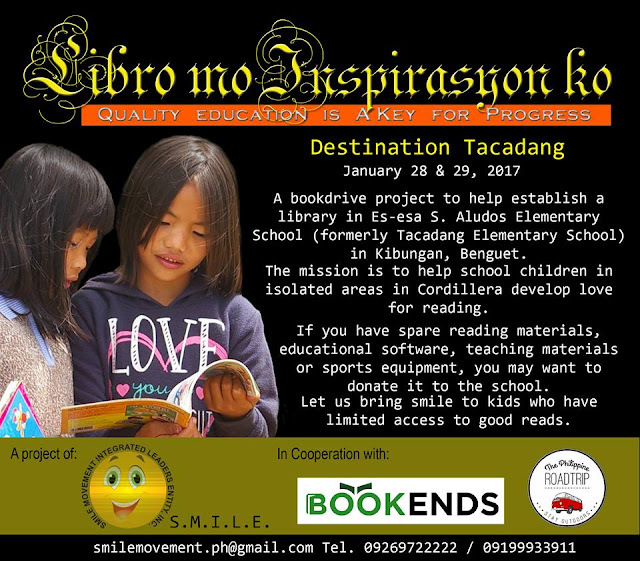 Started and headed by Carl Taawan, a journalist based in Baguio City, the project conducts book drives then carts the collected books and school supplies to far-flung locations in the region. The organization is currently holding another book drive which will culminate with the delivery of the books on January 28 and 29. The recipient school this time is Es-esa S. Aludos Elementary School which is located in Tacadang, Kibungan, Benguet. Aside from books, the organization also accepts donations in the form of "spare reading materials, educational software, teaching materials, and sports equipment". Those who wish to either donate or volunteer may contact the organization using the following mobile phone numbers: 0919-993-3911 or 0926-972-2222. You can also email them at smilemovement.ph@gmail.com. For additional details and updates, check out the book drive's event page on Facebook here.